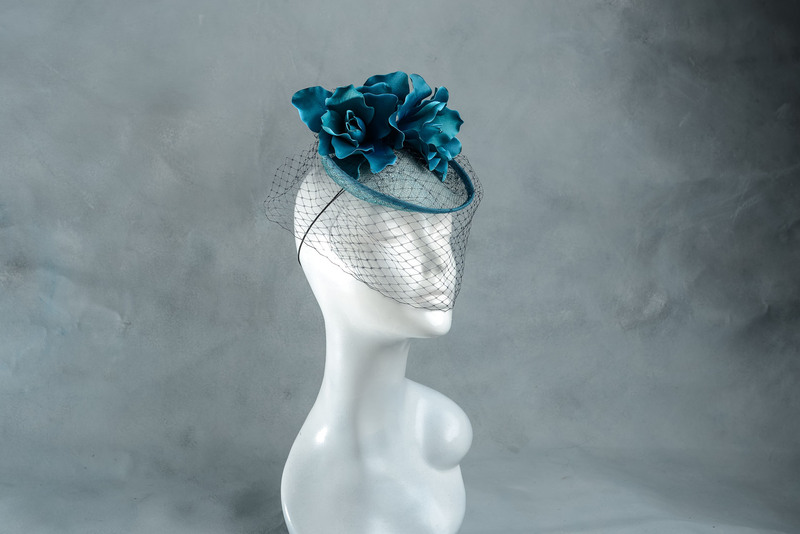 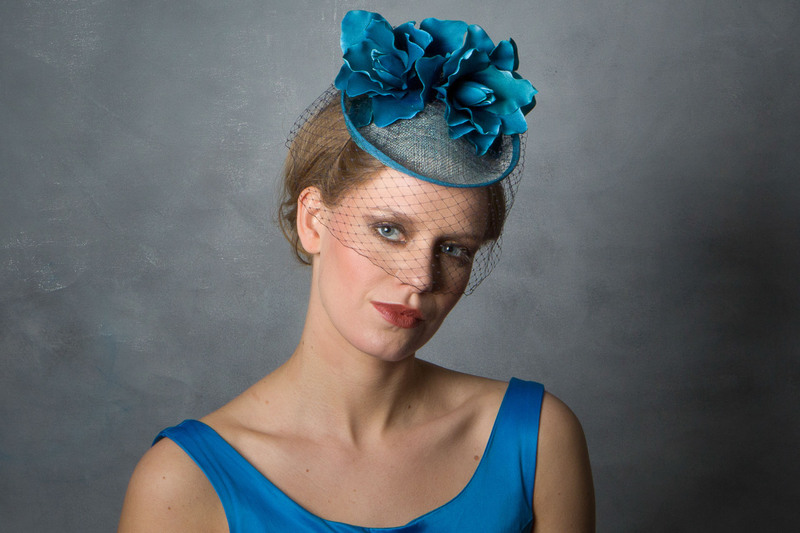 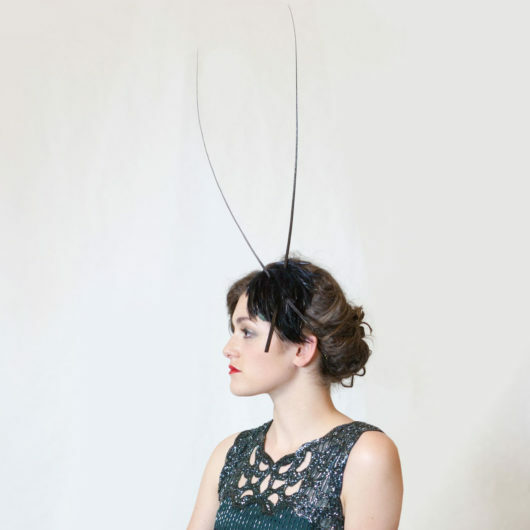 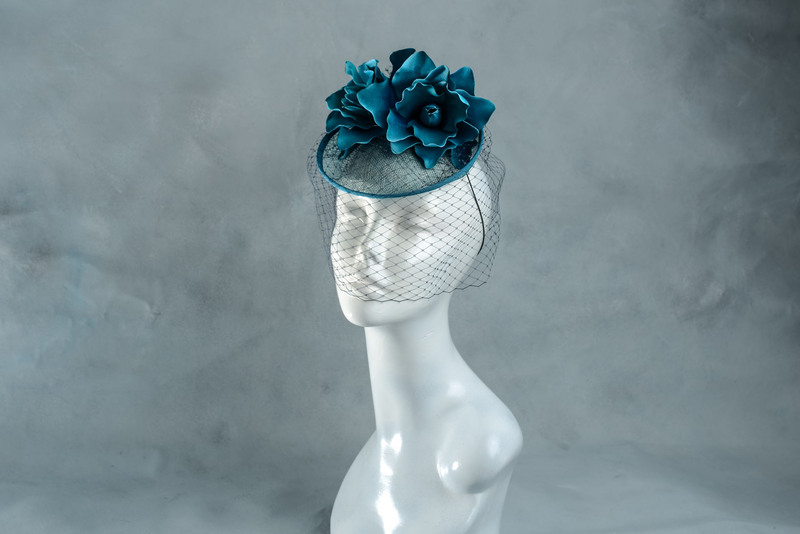 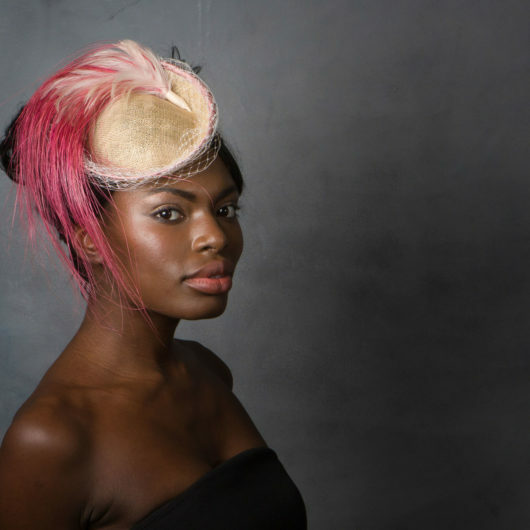 This bright blue wedding fascinator hat has lots of different shades of blue combined; Navy, Teal, Azure, Baby Blue – which makes it a very easy one to match with lots of outfits. 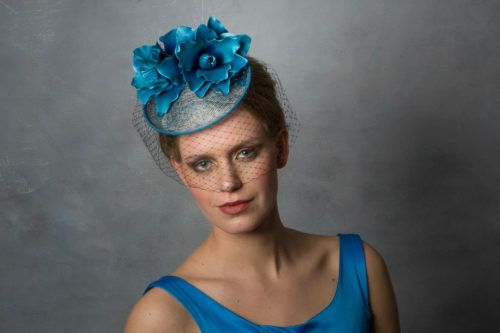 Works beautifully with Coral, Pinks, Oranges, Reds, Yellows, as well as Blues. 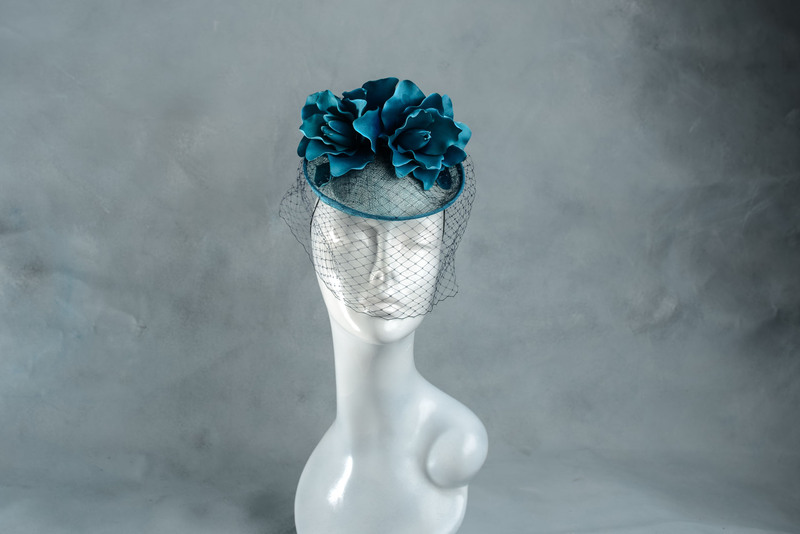 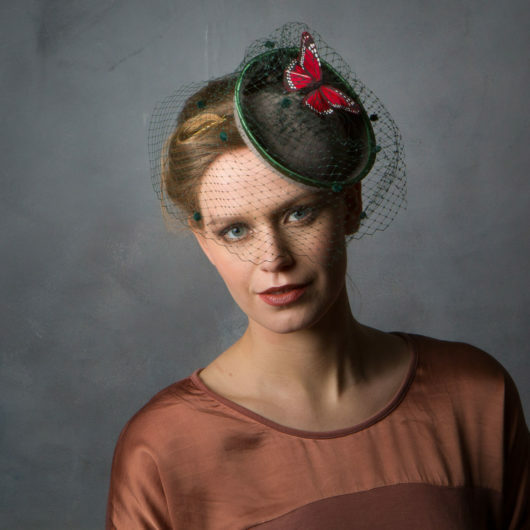 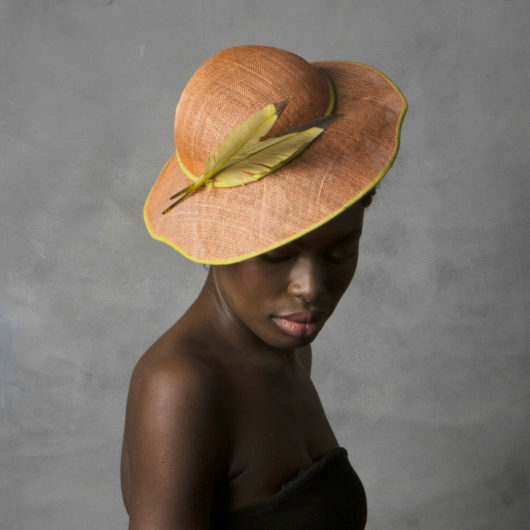 Sinamay, Fabric Flower, birdcage veil held with millinery elastic.